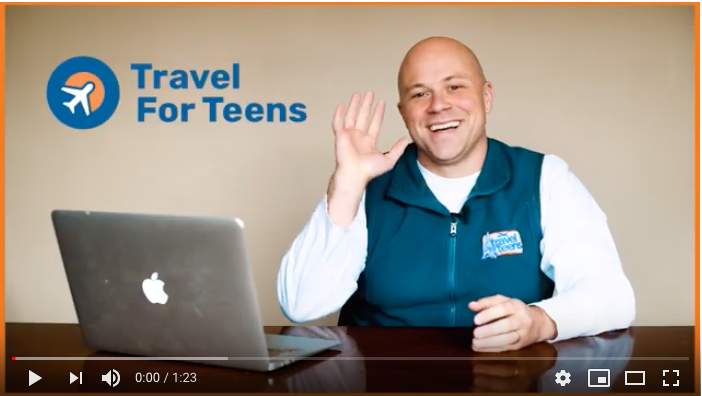 If you need help arranging travel for your teen’s trip, please contact our office by email, help@travelforteens.com. Required TFT paperwork can be found on the MyTFT parent portal. Please email help@travelforteens.com, with any paperwork related questions. Please note, that all physicals performed by a physician must be completed within the calendar year of the trip. All TFT travelers require a valid passport for international travel. Please make sure that your passport is valid for 6 months beyond the date that your program finishes. If you click here, you’ll be directed to the 2019 revised packing list. There is a general list at the top and any trip that has additional specific items is listed below. Looking to stock up on TFT themed gear?! Check out our very TFT store here! Please log into your MyTFT account, and verify the traveler’s email address, mailing address and t-shirt sizes. If you wish to keep your email private, please send a email to help@travelforteens.com opting out. Participant contact lists will be sent out in the beginning of June. Travel day t-shirts will be mailed the first week of June, to the address we have listed as the traveler’s home address. If you wish to change this address, you can do so by logging into your MyTFT account and updating the information. For trips that need specific visa requirements, we will be sharing that information out at the end of April.